SONA, Zuma exit: Will Cyril Ramaphosa be a damp squib? 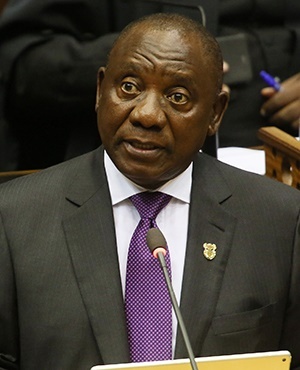 Cape Town - President Cyril Ramaphosa has said that his government will “intensify engagements with all stakeholders” around the controversial Mining Charter, which has been criticised by members of South Africa’s mining industry. Ramaphosa, during his maiden State of the Nation Address on Friday, said mining still had significant “unrealised potential” to grow the SA economy. He said his government would seek to ensure that the Charter was a “truly an effective instrument to sustainably transform the face of mining in South Africa”. “By working together, in a genuine partnership, underscored by trust and a shared vision, I am certain we will be able to resolve the current impasse and agree on a Charter that both accelerates transformation and grows this vital sector of our economy,” he said. He did not give further specifics on how he would go about resolving the impasse. He did not mention Mineral Resources Minister Mosebenzi Zwane. Ramaphosa said the Mineral and Petroleum Resources Development Act Amendment Bill would “reasonably be finalised during the first quarter of 2018”. “The Bill, once enacted into law, will entrench existing regulatory certainty, provide for security of tenure and advance the socio-economic interests of all South Africans”. He said he was “extremely concerned” by a rise in mine fatalities. Earlier on Friday the Chamber of Mines told Fin24 that it still wanted the Charter withdrawn. “In its current form, the Reviewed Mining Charter will have a significant adverse effect on the industry,” it said. The Chamber has sharply criticised Zwane, saying he was “effectively destroying regulatory and policy certainty” by developing the Charter “unilatery”. The Chamber’s application for a judicial review and a setting aside of the Charter is set to be heard by the North Gauteng High Court between February 19 – 21 2018.